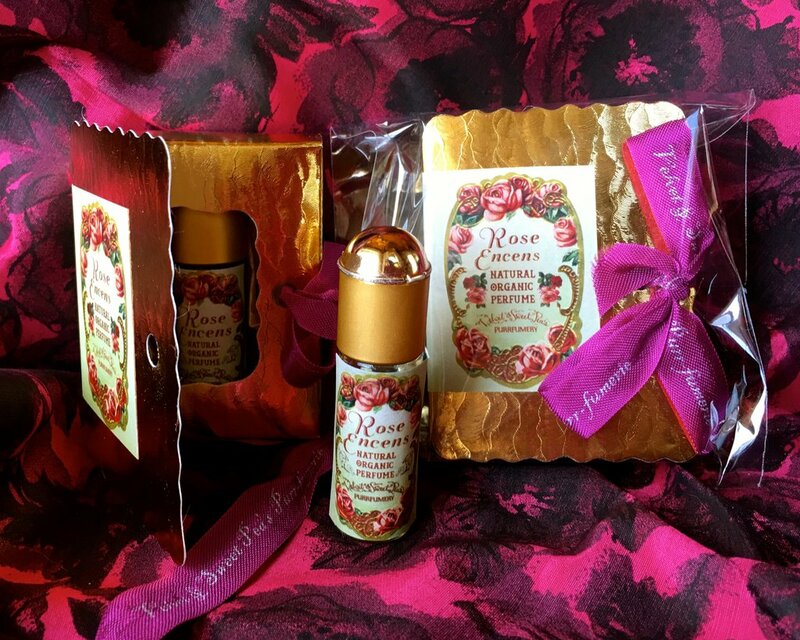 Qajar Rose from Lalun Naturals is another striking rose perfume that is laden with rose ottos from Iran, Turkey, and Russia. In the topnotes, Qajar Rose employs rose otto, tagettes (marigold), chamomile, pomegranate and galbanum for a truly unexpected but pleasurable olfactory experience. All combined, the rosy opening is sharp and green, yet sweet and haylike. Complex to be sure, but in a compelling manner that draws you in gracefully. There are many notes and nuances to discover within the heart and base of Qajar Rose: saffron, coffee, davana, Buddhawood, sandalwood, oud, ambrette, and patchouli to name a few. Like I said, it’s complex but wholly approachable as aspects of each note undulate as the perfume evolves. There are moments when coffee is more pronounced, and then recedes allowing the chewy-leathery quality of oud to move forward then gives way to the rich and earthy patchouli. This interplay of notes and melding of contrasts with the backdrop of a regal and romantic rose is expertly executed by Maggie Mahboubian, the creator of Lalun Naturals. Qajar Rose, such a fascinating and deeply alluring rose fragrance. Rose Encens is $64 for a 5ml roll on in a jojoba oil base. 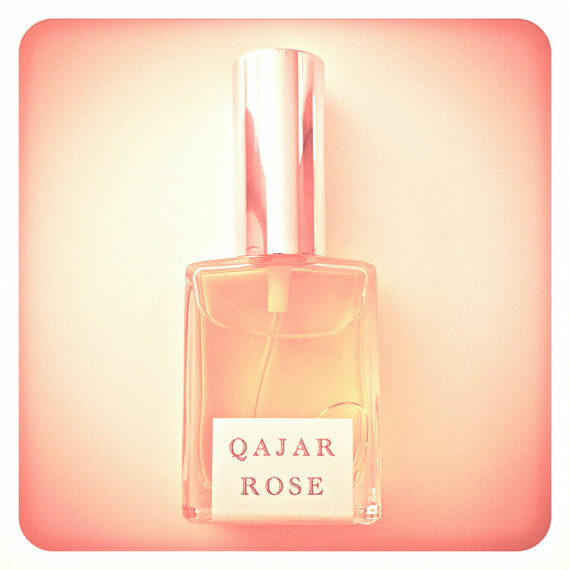 Qajar Rose is $95 for 15 ml spray bottle. Disclosure: Samples were sent to me for consideration by the brands. All opinions are my own and I am not financially compensated for my reviews. Previous Post Sunset Beach and Lost Lagoon by Ayala Moriel.